I contacted Ontario Pool Service to request a quote for changing our old pump to a new one and for pool opening. They got back to me with a quote on the pump which I agreed to, and the pool opening was initially arranged for the same day as the pump installation. Later they changed it to two separate days. I have paid for the pool pump as they asked for it to be done in advance and had sent me the invoice. On the morning of the day of the pump installation, they did not call or email me to cancel, and did not show up. I had to call them myself and they then claimed they can't install the pump as it's raining outside. I had taken the morning off work and am obviously frustrated, angry, and losing money because of this. I have asked them for a discount on the service to make up for the unexpected change, and am waiting to hear back. Otherwise I will need the money refunded and will take my business elsewhere. 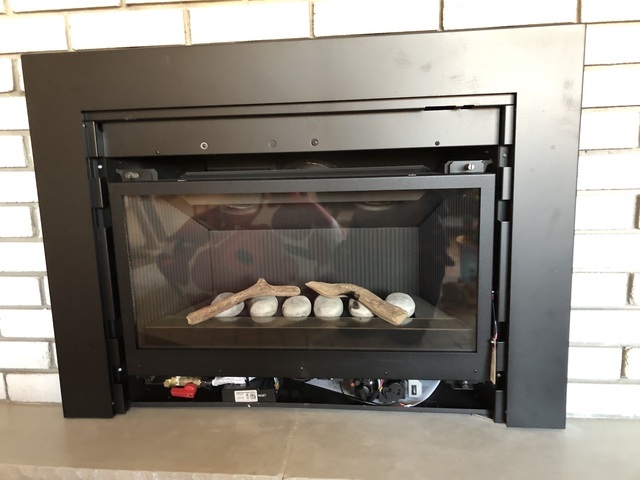 We ordered a Valor fireplace from Toronto Home Comfort. The technicians who came to install it drilled through our hardwood floor by accident. Then, only after the fireplace was in place, they told us they don't have the front panel for it. Right after that they asked us to pay in full despite the damage and the missing piece. Communication with the technicians was challenging and they tried to dismiss the damage to our floor as insignificant. In the follow-up, we've had difficulty getting the company to respond to our calls. They say the front panel is on back order now but the timeline is unclear. We hope this will be resolved very quickly. We'll keep calling. I was taken aback by The Home Improvement Group’s response to my review below. Christine, Rod, and Amir all recognized there were delays in the work and apologized for those during the project. We got quotes from 4 different companies, all of which said they would finish the project in max 7-10 working days, i.e. two weeks. All of those companies also included project management. The problem with the Home Improvement Group was that there were 4 complete days during the weeks when no one did any work in our house because you didn’t get the workers to show up, and days when only a couple of hours worth of work was done. You admitted that earlier as well as that there were issues with the communication between Amir and us, and apologized to me then. Your response now seems like an attempt of damage control, which is not helpful or necessary. On top of it, Christine, you misspelled my name. What I would have appreciated more here would have been a more honest and open response, as I got from you before. ———————— THE REVIEW: We hired The Home Improvement Group to renovate our small, approx 35 sq ft, upstairs bathroom. We got a a few quotes from different contractors, and the Home Improvement Group’s quote was both competitive as well as we liked the initial experience with the sales person, Les, as he was friendly and knowledgeable. The work included gutting the floor and the exterior wall, adding a bit of insulation, installing a ceiling fan, a new window, floor heating, pot lights, new tub, tiling, vanity and faucets. After a project manager, Amir, took over the project, the work started. The demolition got done on the first day and the workers were generally taking good care of keeping our house clean while doing dusty, messy work in the bathroom during the day. This was particularly important to us as our toddler’s bedroom is only four feet away from the bathroom. The first problems came up when I came home from work just a bit early one day, bumped into the main worker, Joe, at the door as he was just leaving, and discovered there was no progress made at all that day. At this point, while the workers had initially been making good progress, the pace of work generally had slowed down for no apparent reason, and we were into the second week of the project. We had initially been told by Les that the whole project would take only 7-8 work days, and so I called Amir, the project manager, for an updated timeline. To my surprise, he seemed upset on the phone that I would even ask for a timeline, and instead of trying to answer my question, argued that this is the nature of the construction industry that timelines change, there are often delays, and that he can’t really commit to a deadline. With the Home Improvement Group ensuring “timely results” and a “stress free experience” in their own marketing, I did not want to accept Amir’s response. The next day, Amir emailed me to say that the project would finish by Mon-Tue on the following week. I accepted this update and assured myself and my family that the work would soon be done. But by the beginning of the next week, they had completely missed two more work days, and a lot of bigger pieces of the work remained undone. I was also concerned about the window which seemed to be poorly installed, hadn’t got Amir’s response to my questions about insulation which was supposed to have been installed in the exterior wall but was missed, and so I was getting more uneasy about The Home Improvement Group’s ability to finish the project. When I called their office, a manager, Christine, seemed to take my concerns very seriously and got another person she said was Amir’s manager, Rod, to visit the site. Rod addressed our concerns about the window and promised all the remaining work would be finished by the end of the week. I told both Christine and Rod that we would all be on vacation after this week and could not have workers in the house anymore, and again they assured me the work would get done by the end of this third week. But then the workers missed two more days completely. When I called Rod again, he actually told me I should accept that the project may go into a fourth week and that if the guys have to come do some more work to finish the project on the following week, it should be fine. I was very frustrated at this point, as I had told the company numerous times that we could not have them in the house anymore on the following week, and both Christine and Rod had promised earlier that the work would wrap up by the end of this week. They had also charged me for the work up to the stage where all tiling would be done, as per the payment terms on the contract, but in fact the tiling was not done yet. In the end, I pushed and I pushed and got them to finish the work on the Saturday that week. So the project that was sold to us as a 7-8 day project had in reality turned into three weeks. It seemed they were never truly concerned about setting a timeline and managing the work to it. There were no delays caused by us, and no lack of supplies. Despite the delays, we have a new bathroom now. It was not a great experience, but the work did get done. We have a lot more work left in our house, and are looking for a dependable, reliable general contractor to work with in the future. Based on this experience we are not convinced that we would turn to the Home Improvement Group again. Hi Kari, Thank you for providing your feedback. While I'm Glad your happy with the the quality of work I do know that we do not make promises to complete a bathroom with the amount of details in 7 to 8 days I did check with Les as well. A quality renovation does take time especially with heated floors regardless that a bathroom is 35 or 100 square ft. Here is your email response below so I cant figure our our review. Plus we tiled your ceiling in your bathroom for free. The best moment when using the brand new bathroom was having our son in the new tub for the first time last weekend, and he said "Bob (as in Bob the Builder) fix bath. My bath!" Everything works well and Joe did a great job with the tile, lining everything up perfectly around the shower area. The tiled ceiling looks great too even if it wasn't the original plan. We hired this contractor to build a new staircase to our basement through another contractor we trust. We ended up with a very hastily built, creaking and shaky set of steps which are now, 5 months after Darren built them, falling apart and dangerous. Tonight when my wife was coming up the stairs with our 2-month old son, one of the steps collapsed. Luckily no one was seriously hurt. Please beware when you consider hiring this company. 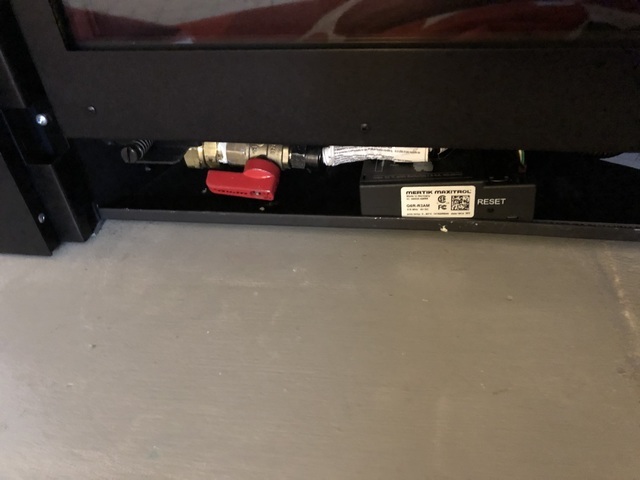 We had a backwater valve and rough-ins for a bathroom, shower and laundry sink installed in our basement in April, and overall were happy with the price and service. Khem made sure his crew did what they had promised. Thank you for your kind review, we are pleased to hear you are happy with our work! Over the year that we've been renovating our house, we've tried different bins, Bagster, and others, and are extremely happy with Just Junk. We had a pile of renovation waste on our lawn and a couple of pieces of concrete in our back yard, and the crew was not only extremely friendly and gave us a quote first, but took care of the job quickly and overall I think the price was better than any other option. Great service, thank you! 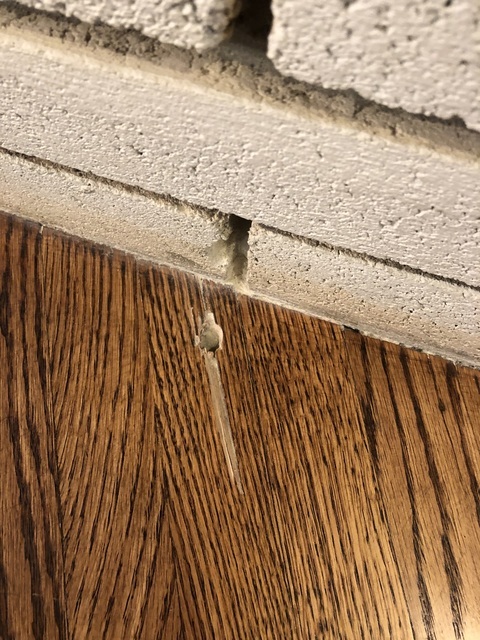 We had a sort of of an odd job: removing wooden skirting around the bottom of the back extension to our house, built on an old deck structure, and then building a new skirting/pseudo foundation wall out of concrete brick. Lorenzo not only gave us the most reasonable quote, was willing and able to adjust it a couple times based on our needs, and then he and his crew did a great job. I would definitely recommend him to others and plan on having him back to do more work in our house next year. The only small criticism I have is that it took longer than expected to complete the work. how are you guys doing,. thanx for taking the time to review my services.